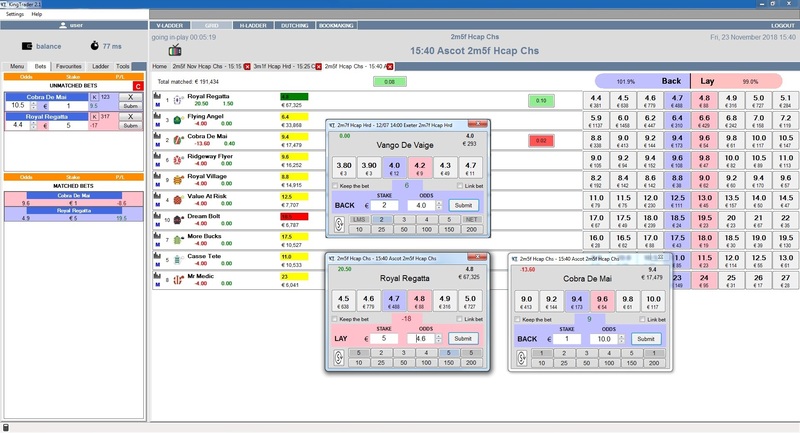 KingTrader is a professional and advanced Betfair betting and trading product. 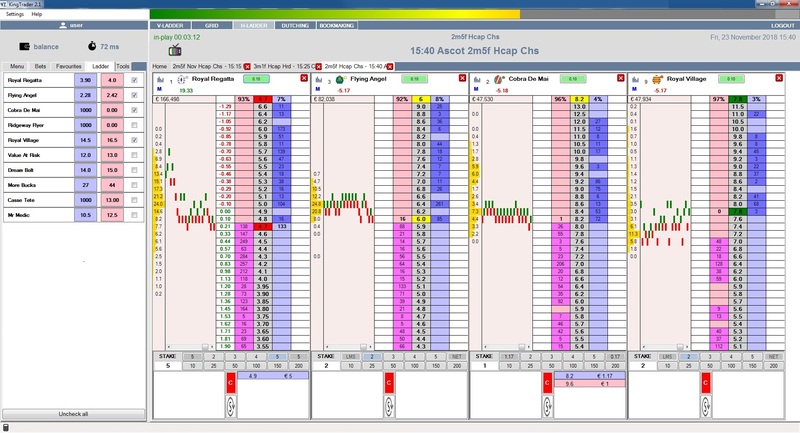 KingTrader provides live Betfair prices and the market data with set of tools and unique features that will make your trade easier than ever. 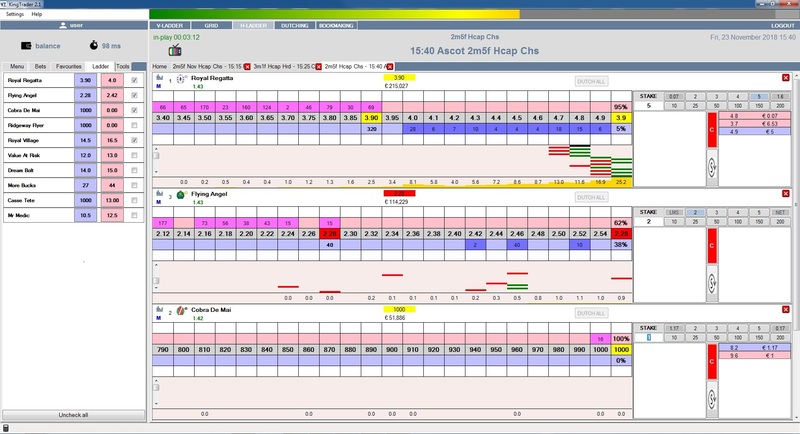 Five different interfaces are available, Grid, Vertical Ladder, Horizontal Ladder, Dutching and Bookmaking. 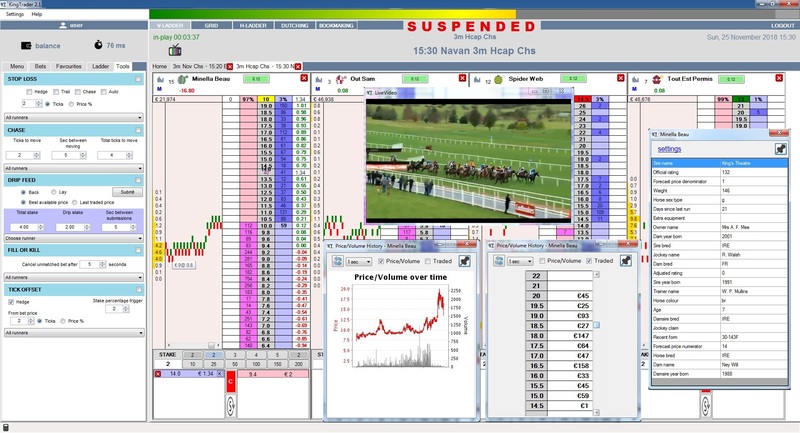 Our mission is to improve KingTrader software on the regular basis, seeking the best solutions for trading and automate betting. The main goal is to build the best software...ever! Therefore, KingTrader is open for all suggestions from our users. 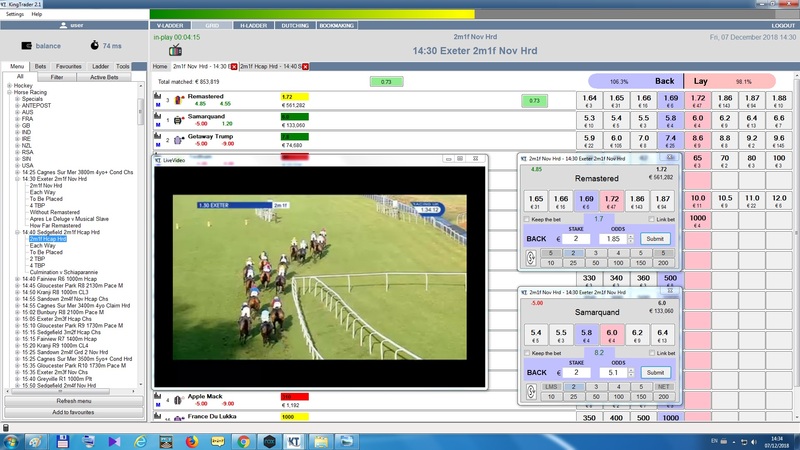 Feel free to contact us if you have an idea what we can do to shape up by adding new tools and features, so they can suit your strategy, and make it easy to bet and trade quickly and efficiently. Visit our website and start using KingTarder for free. 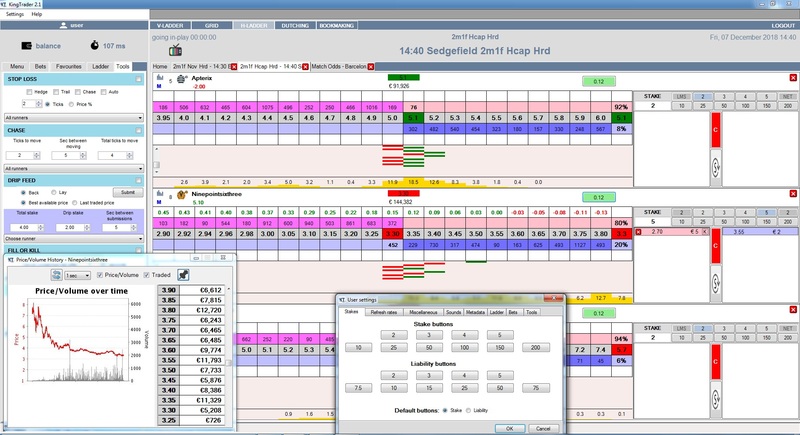 KingTrader is the software that goes to the heart of trading.